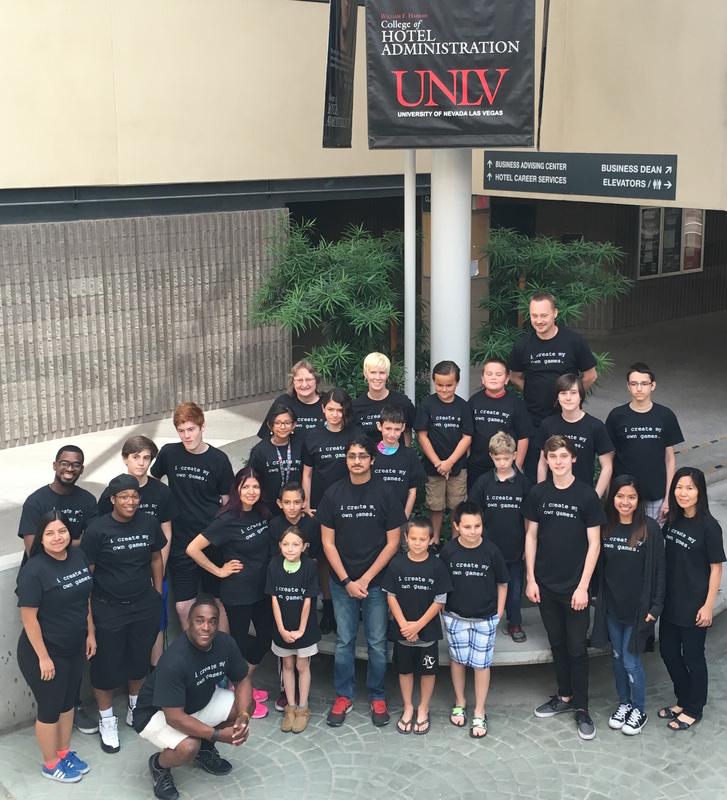 Las Vegas, NV – On Saturday, May 21, a crew of UNLV student volunteers and UNLV staff gathered for the 1st annual CreatorCon for Kids. 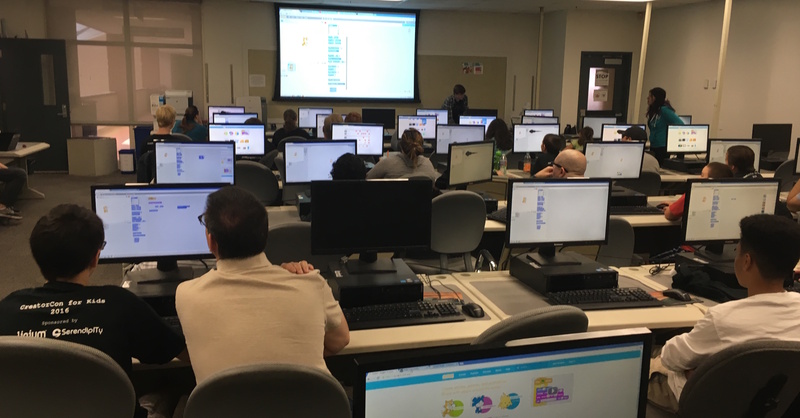 Thanks to our sponsors at Linium and Serendipity, this event was offered for free and all participants got “i create my own games.” shirts. 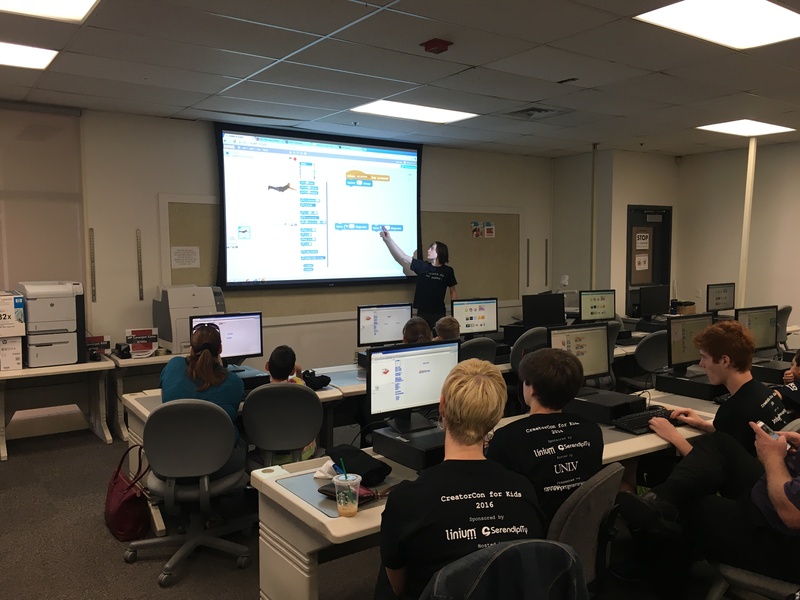 Check out the games they built here!